Pet sitting in your own home – how does it work? 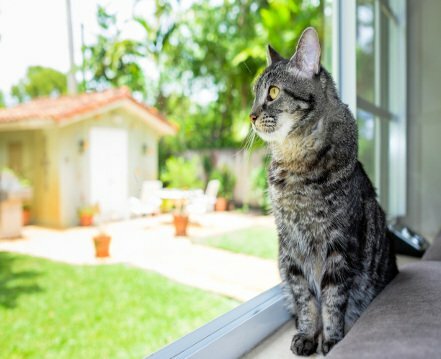 PET SITTING IN YOUR OWN HOME - HOW DOES IT WORK? Pet sitting has evolved with the changing requirements of pet owners and now you can find services better adapted to both owners’ and pets’ needs. One example of this is pet sitting in your own home, when the sitter moves into your home to look after you pets. The main principle of pet sitting in your own home is quite simple : while you’re away, the pet sitter stays in your home in order to take care of your pet until you return. Unlike other pet sitting options, this service is less requested by pet owners as it involves someone staying in your home during your absence. Moreover, you can find 2 types of pet sitting in your own home, which differ in relation to the requirements of the pet owner. Generally, pet sitting in your own home implies overnight stays in the pet owner’s home throughout the sitting. Your pets will therefore benefit from company day and night as the sitter will be sleeping in your home. Over time requirements change and so do the types of pet sitting available; this is why you can also choose pet sitting in your own home without the sitter staying overnight. There are some pet owners who cannot be at home during the day and so need someone to be present for a few hours or the whole day to safeguard the welfare of their animal. In this situation, it’s not unusual for owners to request pet sitting in their home without overnight stays. Pet sitting in your own home is not often requested by pet owners. The idea of leaving a stranger in charge of your home for several days is off-putting for some. Equally it’s not always easy to find a pet sitter willing to stay overnight in another person’s home. Nevertheless, this form of pet sitting is particularly well suited to owners with multiple pets. For some sitters, it’s also an opportunity to have a change of scene whilst at the same time taking care of your pets. To conclude it’s important to specify that pet sitting in your home is not at all the same service as home sitting. Pet sitting in your home only requires the pet sitter to take care of your pet. To do this the sitter will need to give your pet all the attention it needs and keep it company both day and night. Home sitting, while it may include taking care of pets, also requires the sitter to carry out household-related tasks.